I was over the moon! There are so many delicious pieces to choose from. 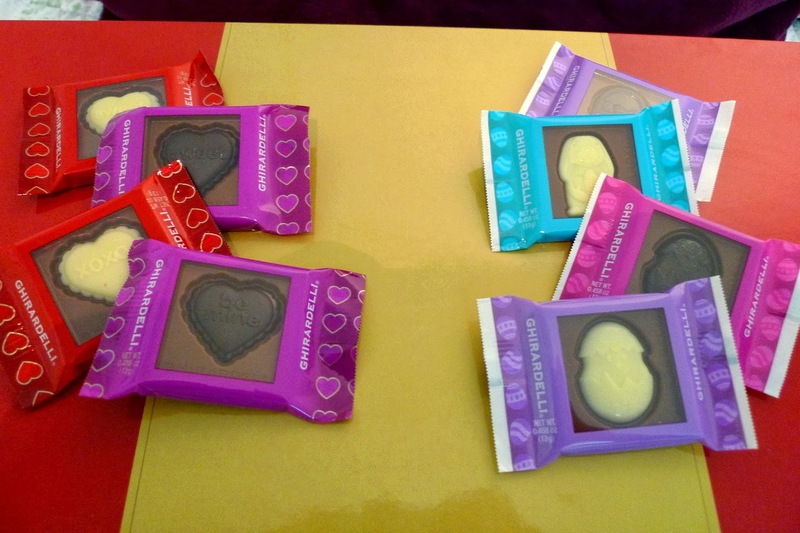 Milk chocolate with dark chocolate centers or dark/milk chocolate with white chocolate centers. A little something for everyone - you're sure to find your favorite. The Valentine's ones have cute little hearts imprinted in the centers and the Spring ones have little Easter eggs and baskets. They make the perfect sized nibble to satisfy your chocolate cravings and would be the sweetest thing to give to those you love this Valentine's Day. There's still time to go and pick some up from yourself - I know I last saw them at Target. I chose to use them to top some vanilla cake donuts. Since I don't have a donut pan (one of these days I swear I'll buy one), I used a little square brownie pan instead, which gave me square donuts, of course. 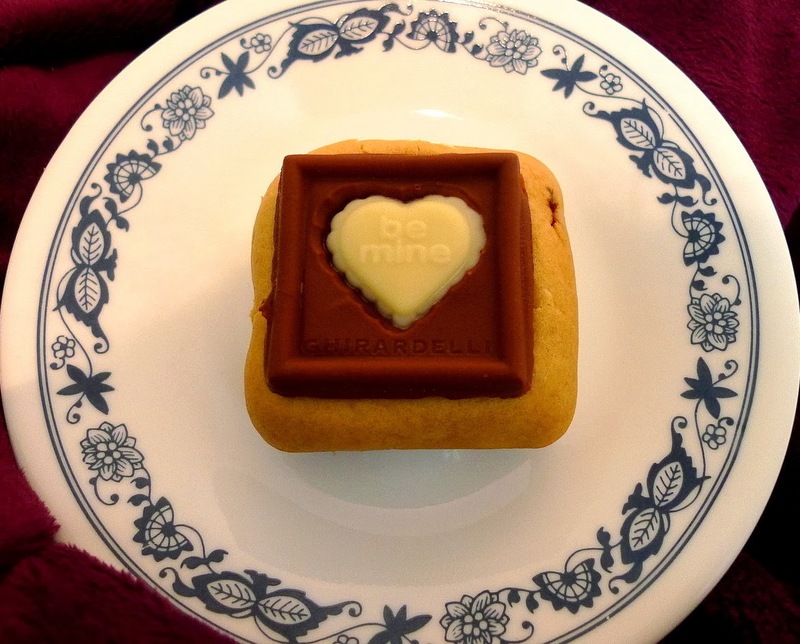 While they may not look like your typical donuts, they were the perfect shape and size for these Ghirardelli chocolates. No need for frosting when you have a layer of melty chocolate instead. Plus, they look so pretty, like mini Valentine's day cards, but even better cause you can eat these after you read the messages on them. By themselves, the donuts tasted a bit plain, since they weren't that sweet. But, with their chocolate topping, they were absolutely delicious. The best part was eating them while they were still warm, with all the chocolate floating in a puddle on top then dripping down the sides. 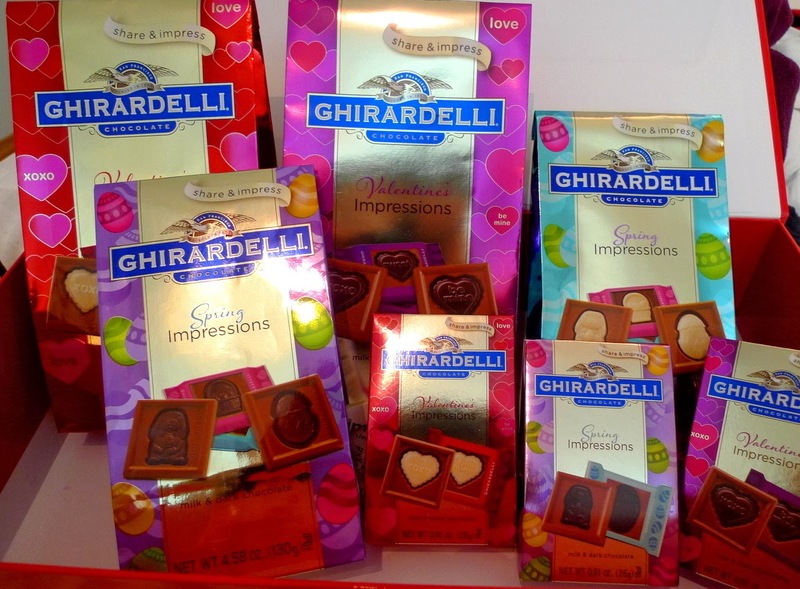 Thanks a bunch, Ghirardelli! Combine the flour, baking soda, and salt. Mix together the buttermilk, sugar, egg, butter/oil, and vanilla till well blended. Add the wet to the dry ingredients and mix till smooth. Grease a donut pan (or a square brownie pan) and fill each indentation 2/3 full, smoothing down the tops. Bake at 325F for 13 minutes, or until the donuts spring back when you press them down in the middle. Let cool in the pan for a few minutes, then remove. While still warm, top each donut with a Ghirardelli Impression Chocolate. Chill in the fridge if you do not want the chocolate to get too melty, or eat while still warm and the chocolate is gooey. For this month's Secret Recipe Club, I was assigned to Cook Lisa Cook. If you've never seen her blog before, you simply must check it out. She makes the most delicious things and her adorable daughter gets to eat them. I must admit, I'm envious. At first, I couldn't decide whether I should make the Oatmeal Cashew and Chocolate Granola Bars (which look way better than store-bought ones), Cinnamon Bun Cookie Bars, White Chocolate Marshmallow Cranberry Cashew Bark, (perfect for Valentine's Day), or her Glazed Lemon Squares. 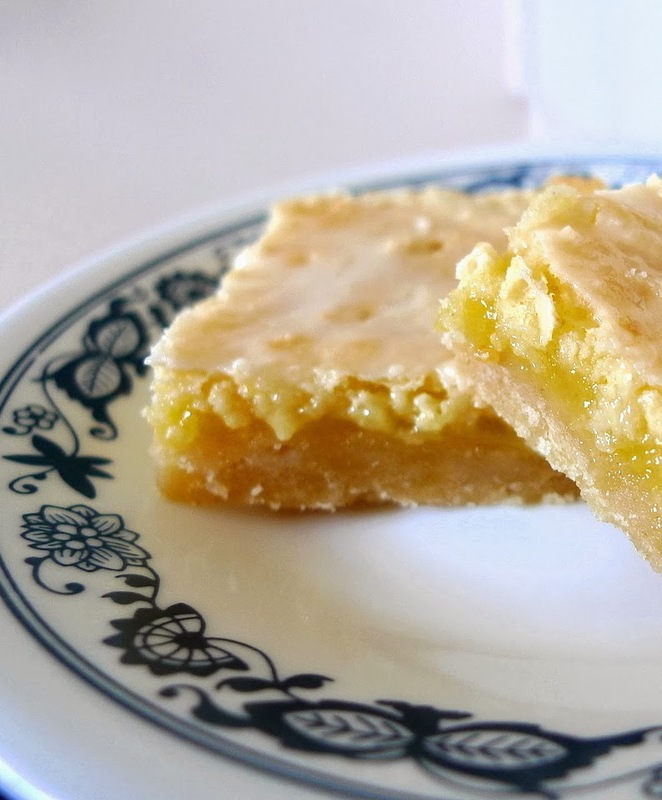 In the end, I decided on the Lemon Squares, in part because I can't resist anything lemony, and also because these are different from any other lemon squares I've ever made. 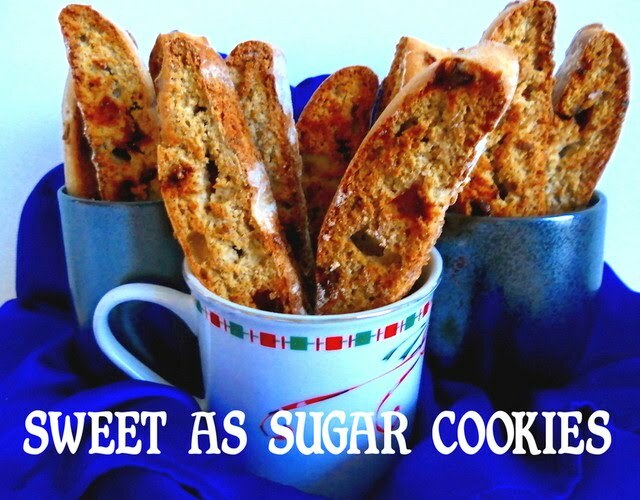 Usually, you would top them with powdered sugar. 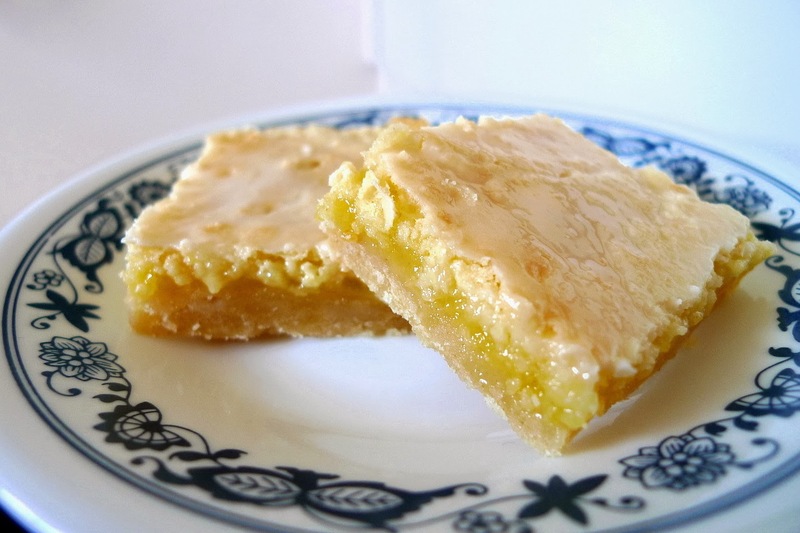 But, in this case, they're covered with a lemony glaze, giving you a double lemon kick in these bars. I loved how these bars came out of the oven with a crackly, crispy, shatter-y crust on top. Then, hiding underneath is all that soft, lemony, melt in your mouth filling. But, the glaze, oh the glaze is what makes these bars a star. You cannot leave it off, the bars would just not be the same without them. Like I said, it adds another layer of lemon flavor that you just wouldn't get with plain, old powdered sugar. 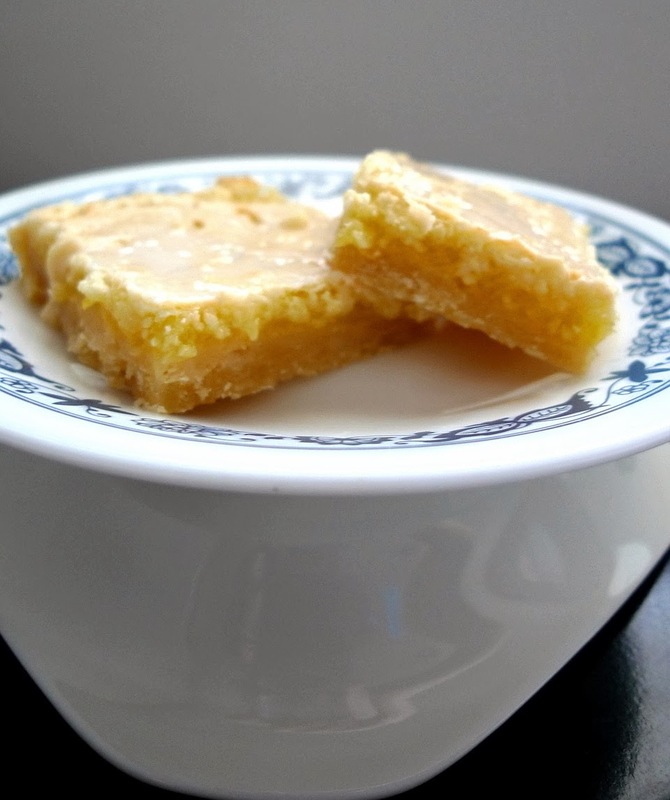 Plus, the tartness helps to even out the sweetness so that it becomes perfectly balanced. I made this batch to share with another lemon bar lover and I think she's going to be over the moon to get them. From one Lisa to another, thanks for the yummy recipe! Preheat oven to 350F. Combine the flour and sugar and cut in the butter until the mixture looks like coarse cornmeal. Press the dough evenly into a parchment paper-lined 8x8 pan. Bake for 15 min. Whisk the eggs with the sugar until well combined. Add in the lemon zest and juice and mix well. Stir in the flour and baking powder till well combined. Once you take the crust out of the oven, pour on the lemon mixture. Bake 25 min. or until the filling has set up and starts to turn brown. Mix together the powdered sugar and lemon juice till well combined and smooth. Spread the glaze evenly over the bars once they have cooled completely. Chill for at least two hours before slicing.